King Of Space! is a 2.5D Platformer created for Bolt Jam #1 August 6-12, 2018. Play as The King of Space! 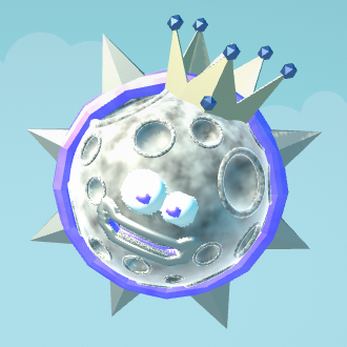 Whilst on his Royal travels, The King suddenly falls to a planet inhabited by angry rock faces! To make matters worse, The King can't leave without finding all his gear again. Luckily, The King has found a Shop where he can buy some Brand New gear and get back to Space! Can you Collect all 100 Coins? Each upgrade adds +2 Attack! Grey Blocks have 2 HP, Green Blocks have 4 HP, Blue Blocks have 6 HP. Win : Get To Space! Hold down Shift to Boost movement of your current direction.